I'm really kinda sad about the season premier of South Park. As soon as I saw it had a NASCAR theme, I was really excited but after seeing it... well... it's as if they just totally mailed it in. I have my doubts as to whether Trey and Matt actually had anything at all to do with it! It seemed as if someone just said "Hey... we should do a NASCAR episode" and then they just had some interns do their best to come up with jokes to string together into an episode... and it just bombed. Hockey is back, and I'm excited! Not that I think the Leafs are likely to go all the way this year... but the season has just begun and we're already off to a better start than last year. Now we won't have to suffer through an agonizing 7 game losing streak to open the season. That's definitely a step in the right direction! Having the first game and win be against the Habs is just a bonus. $5 for me! Woot! Last weekend I got to see my first NASCAR race in person, and it was amazing! 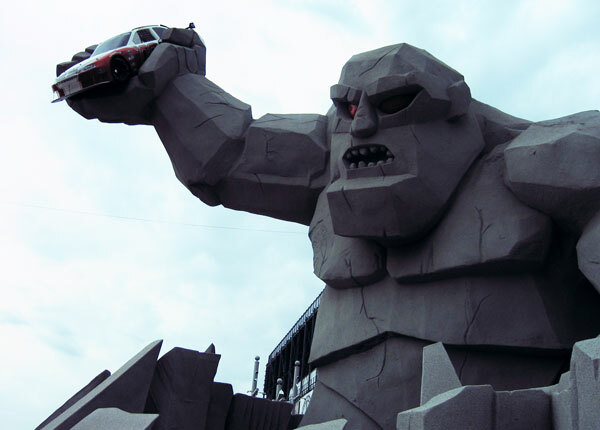 With my wife and friends, we travelled down to the Baltimore area for the weekend, heading over to the Monster Mile in Dover Delaware for the 2nd race of the Chase for the Sprint Cup. We had an absolute blast, from beginning to end. 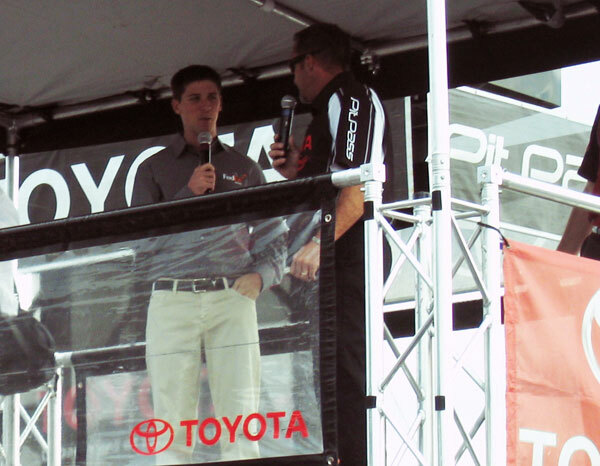 We got there early to tour through the souvenir trailers and happened to be at the right place at the right time to see Denny Hamlin giving an interview in the Toyota promotional area. I later picked up a signed Denny Hamlin diecast from his trailer. The race was great, with a few hard-fought battles for the lead involving my wife's favourite driver (Kyle Busch) and the driver I had picked for my fantasy game (Jimmie Johnson). In the end, Jimmie won out after Kyle faded when the sun went away. My favourite driver, Tony Stewart, had an altogether terrible day, but it was interesting watching him try to make the best of it. I think the biggest surprise for all of us was just how LOUD it was! I'd been warned and it had been described to me, but I don't think you can really comprehend just how loud 43 V8 engines with no mufflers at full throttle really is until you hear it in person. Then you put your headset back on because it's painful. I can honestly say it was the loudest place I've been in my entire life. Louder even than standing on an indoor platform as a pair of trains go by you. So that was that... I can't wait until I get to go to another one!! I've had an Android phone for a few weeks now, and my biggest problem with it has been the battery life. It seems to die within a day, which has been a real hassle. Now I've got one of the crappiest Android phones available today... the LG Eve GW620R running Android 1.5, so this may not apply to better phones with newer versions, but I thought I'd share my solution just in case anyone searching could benefit from it. Over the weekend I installed a free app called Advanced Task Killer. While multitasking is obviously one of the biggest advantages Android has over other, more fruity smartphones, it seems that some apps like to just linger in the background even when you think you're done with them, and others seem to just start up on their own from time to time just for kicks. By running this ATK app and killing off unused apps, I've found that my battery life isn't draining out like an open faucet. Looking at it this morning, it's still at 85%. So if you're got Android and are having issues with battery life... give this a shot. I hope it helps.